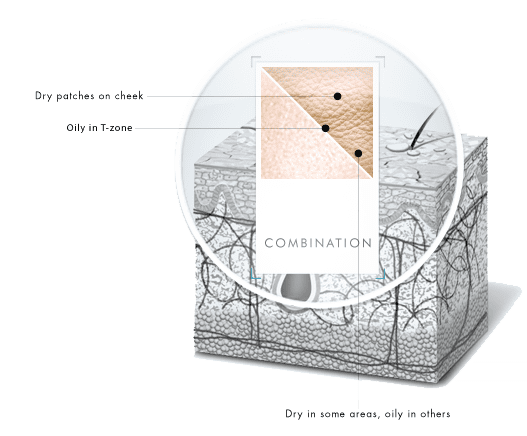 Combination skin is dry in some areas and oily in others. This imbalance is affected by environmental factors and genetics. The T-zone (forehead, nose, and chin) is usually oily, while patches of dryness may be found on the cheeks. SkinCeuticals offers products that provide oil control and moisture without clogging pores restoring balance to skin.